His Holiness the XIV Dalai Lama made his fourth visit to Lithuania, Latvia and Estonia during the summer of 2018. 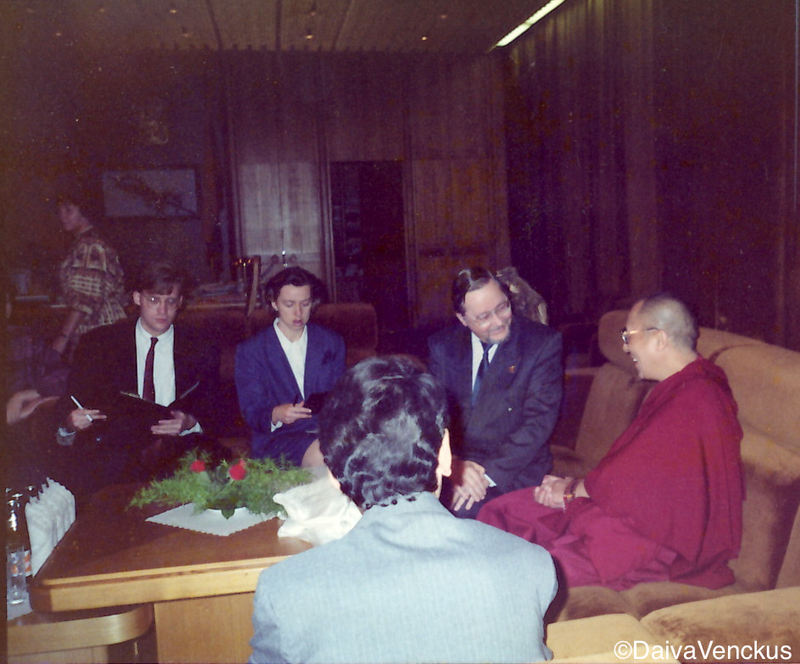 The Baltic nations have long held a special meaning to the Tibetan leader, which you can see exemplified in the picture below when the Dalai Lama met with Lithuanian leader Vytautas Landsbergis in Vilnius during his recent visit. 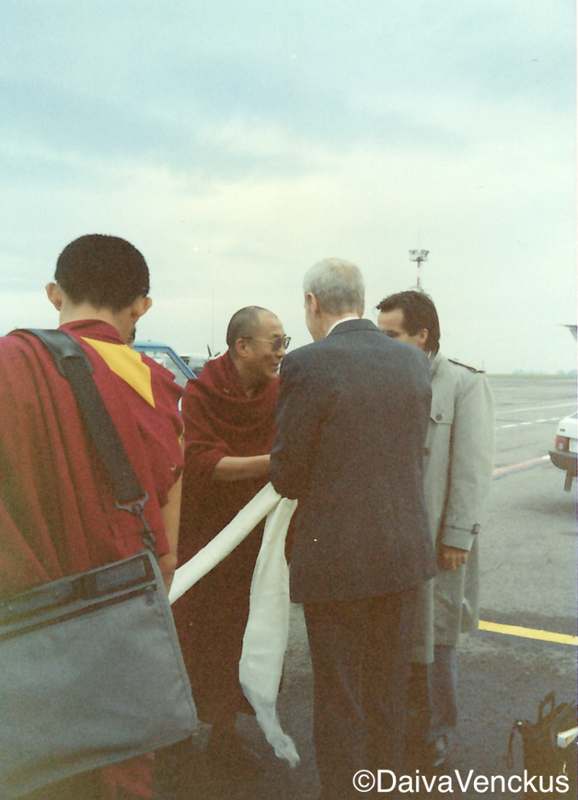 The story of the Dalai Lama’s close relationship with Lithuania began in 1991, with his first visit to Lithuania, during September 29 – October 2. Vytautas Landsbergis had led the Lithuanian nation since the beginning of the revolution in 1988, through the reestablishment of independence in 1990, to the bloody and fatal Soviet military crackdowns against innocent Lithuanian civilians in 1991. 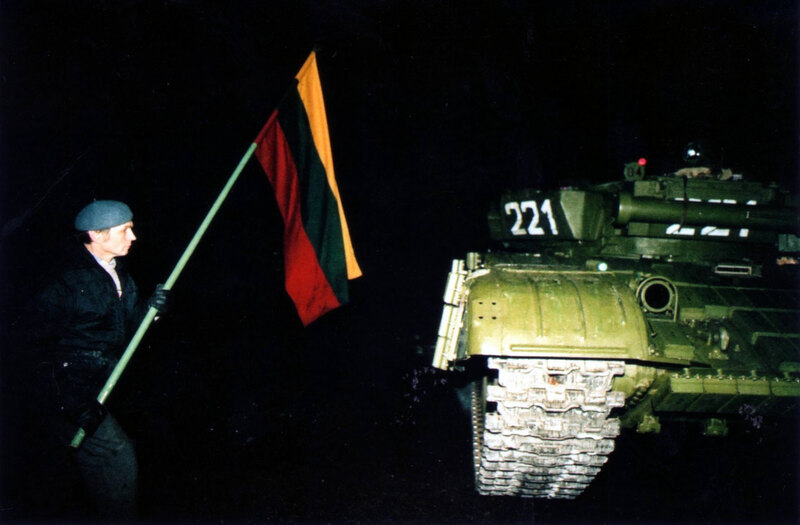 Lithuania had just achieved freedom from the USSR after the failed coup against Gorbachev during August 19-21. 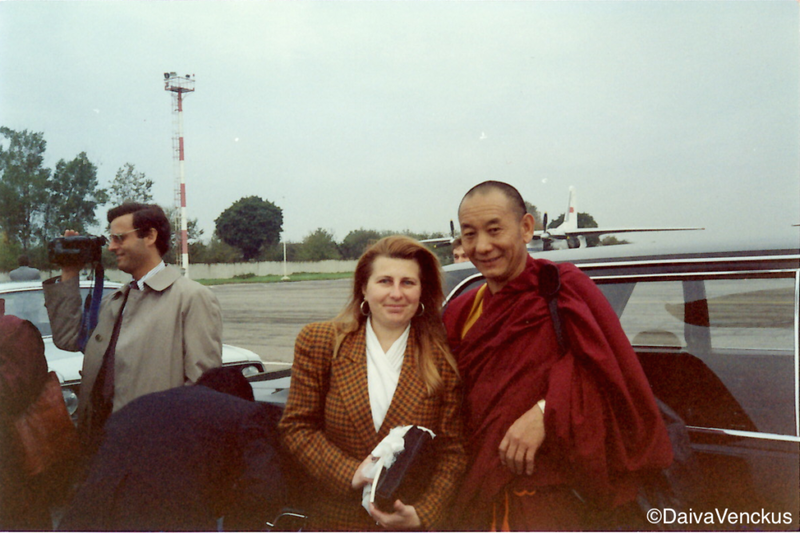 The visit of the Dalai Lama was one of the first official visits to newly independent Lithuania by a world leader. Even though the Dalai Lama’s homeland of Tibet was occupied by communist China, the Tibetan government in exile had been established, and the Dalai Lama remained its political and spiritual leader. At the time, I was working in the Lithuanian Parliament’s Press Office, but I was asked to help organize the visit. Typically the Parliament’s foreign delegation group organized official state visits, and my Press Office duty was relegated to wrangling the foreign press. However, this was going to be the first visit of a significant religious leader—and a Buddhist one. Lithuanian officials wanted to ensure His Holiness was treated not only within proper political, but also religious protocols. The closest anyone had come to a Buddhist at Parliament, was me. Although I’d been born and raised a Roman Catholic, I’d been studying Buddhism and tried to practice the Eight-Fold path to the best of my abilities and had discussed Buddhist philosophy with my co-workers. This didn’t make me an expert in Buddhist protocol, but Lithuanian officials asked me to stay close to the Dalai Lama to ensure there weren’t any mistranslations of requests and to guarantee the personal needs of his entire entourage were met. Sticking close by the most spiritual person in the world’s side for four days? Who wouldn’t say no to that request!? But, at the same time, I was scared and filled with anxiety. I was being held responsible to ensure we didn’t have some sort of international incident. On September 29th, His Holiness stepped onto the Vilnius airport tarmac in his red and orange robes, shaking the hands of Lithuanian dignitaries while the press snapped photos. I snuck one in myself. Even though I kept my distance while the VIPs greeted him, an aura of goodness emanated from him, and filled me with a sense of peace. During our planning weeks prior, while making sure we supported His Holiness’ dietary needs (no, he’s not vegetarian), we learned he enjoyed Kellogg’s corn flakes for breakfast. Even though the Soviet Union collapsed, the floodgates of capitalism didn’t immediately flow forth. 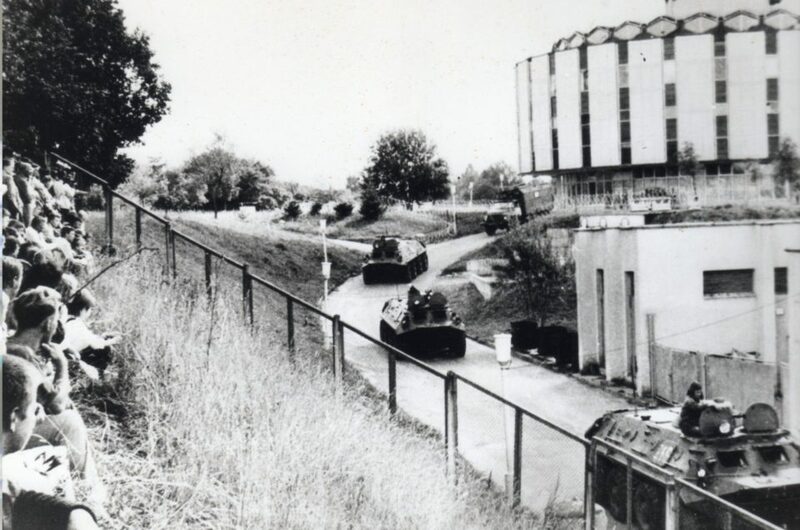 The old Soviet economy was still in effect, and Lithuania was still suffering from the consequences of Gorbachev’s economic blockade to crush the independence movement, and fifty years of Soviet rule. I didn’t want to disappoint the most spiritual person on the planet, so, I went on the hunt to find corn flakes. Western products were only available at the hard currency “Dollar Store” which mostly carried products like alcohol, chocolate, cigarettes and pickled vegetables from Germany. But no corn flakes. I contacted my ex-pat friends to see if they had any connections to Western products, but no one had a source for corn flakes. I asked journalists traveling in and out of the country whether they could pick up a box, but they were unable to. I got desperate and I checked with the gypsies at the farmer’s market — they didn’t have any, which was a good thing, because I wouldn’t have wanted to confess to His Holiness his corn flakes came from the underground black market gypsy network. “I’m so sorry,” I said to Mrs. Takla, beyond embarrassed. “What are they saying?” Mrs. Takla asked. I was prepared for the question because every foreign journalist and dignitary wondered why it sounded like the crowd was sneezing when they visited. “Ačiū is the word for thank you. They’re grateful to His Holiness for visiting Lithuania,” I replied. Citizens, who once were willing to die standing as human shields to protect the Parliament building, were now part of the official enthusiastic greeting committee. Gratitude was shown to every diplomat who arrived to lend support to the newly established republic. Before we walked into the inner courtyard, he gestured toward the massive twenty-foot tall concrete massive slabs blocking the entrances to the building. The rebar, ad hoc fencing and barbed wire wrapped around the lower floor windows. His outwardly jovial aura switched to serious contemplation. I could only imagine how these barricades reminded him of his own experience that day in 1959 when he was forced to flee Tibet to safety in India. After eight years of the Chinese occupation, and the Dalai Lama’s attempts to protect his people through various strategies to appease the Chinese authorities, the situation had escalated with violence. The citizens of Tibet had built barricades in their capital of Lhasa to protect the Dalai Lama from being taken by Chinese military forces after believing Beijing was going to abduct him. Beijing was going to use the violence as a pretext to crackdown on civilians, and the remaining Tibetan government. His Holiness had no choice but to escape in the middle of the night. The Chinese bombarded Lhasa, killing thousands of innocent civilians. They searched for the Dalai Lama’s body in the ruble, certain they had killed him and finally destroyed Tibet’s symbol of their history and identity. Lithuanian parliamentarians escorted the Dalai Lama the rest of the way while I walked with Mrs. Takla. Inside, we climbed the grand stairs to the third floor, where sandbags stood ready outside of Landsbergis’ office. His Holiness placed his hand on them for a momentary reflection. The Dalai Lama approached Landsbergis and they shook hands, but then, suddenly and silently embracing each other with a prolonged hug. The energy in the room changed. Two great spiritual positive forces connected. 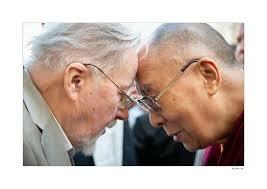 Both Landsbergis and His Holiness made enormous sacrifices and carried the weight of their people on their shoulders. The fate of their nations rested with them, which required an enlightened level of leadership that so few truly achieve. I felt unworthy to be in their presence. I think everyone else in the room was feeling the same way, because they looked away to give them their private moment. When they sat down for their official meeting, I was aware both were just men, but they had risen to a higher spiritual level to achieve a higher purpose. That positive spiritual energy was not reserved for leaders, but also permeated from my co-workers, and with all those whom I met on the streets who struggled for this higher purpose of independence. A higher level of humanity was at work in Lithuania where each individual shared a compassion for each other, a sincere desire for everyone’s future to live with dignity, with guaranteed basic human rights and freedoms. Which is why Moscow was doomed to fail. Lithuania’s goal had been achieved. Landsbergis no longer needed to carry the burden of the fate of the entire country on his shoulders. In time, his spiritual greatness would diminish, along with the rest of us while we took the fate of the nation for granted, and focused on our own selfish individual fates. However, Tibet was not free. 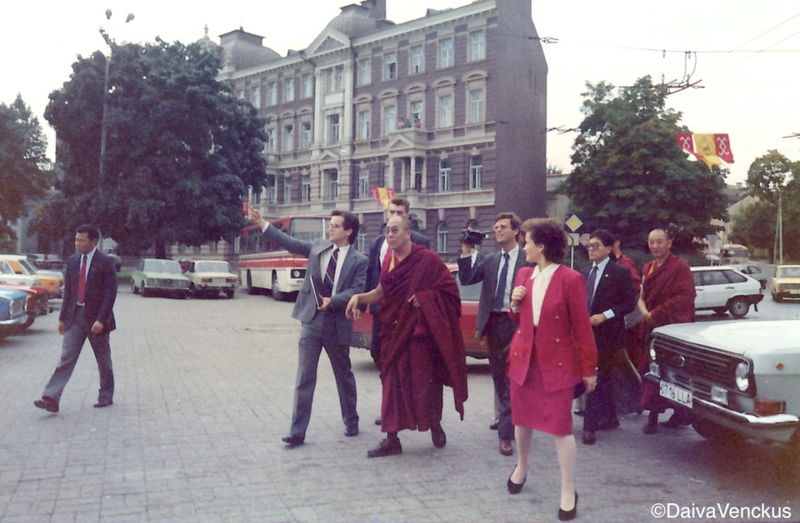 Originally, the Dalai Lama was to come to Vilnius to support Lithuania’s independence efforts. Now, Lithuania was asking how Tibet could be helped. Lithuania promised to always be in Tibet’s corner. During his visit, The Dalai Lama was taken on a whirlwind tour of Vilnius, addressed a Parliamentary session, met with religious leaders of all faiths, gave a talk to a standing-room crowd at Vilnius University, danced with children at an orphanage, met with the small Lithuanian Buddhist community and enjoyed his corn flake breakfasts. The Dalai Lama tours Vilnius – here at the square of the main cathedral. Lithuanians have kept their promise, to be in Tibet’s corner. After this first visit, Lithuanian Parliament established a “Friends of Tibet” group. In 1992, Lithuania helped to bring resolutions on the Chinese human rights violations in Tibet to the United Nations, and continues to do so to this very day. You may wonder what real power a tiny nation like Lithuania can have on the world stage. Sometimes it’s the small nations who know best what freedom and independence means, since, they’re the ones who’ve been crushed by greater powers for centuries. These struggles remain in recent memory, therefore, they haven’t forgotten the sacrifices made for freedom, and do not take it for granted. Tiny Lithuania, Latvia and Estonia challenged the the Kremlin Goliath and won – through non-violent resistance and civil disobedience. These small powers continue to be in Tibet’s corner. 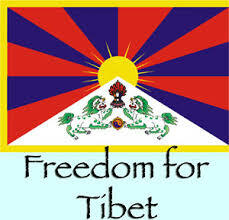 We all continue to pray for the day, the people of Tibet will be free. But we can do more. That spirit that brought down the walls of communism in 1991 can be rekindled today to help all those who continue to suffer human rights abuses. That’s it. It’s easy to have compassion for those on the other side of the planet who are suffering from oppression or wars. However, showing sincere compassion for those you meet every day, your neighbors, those on the streets in your city – that takes more work, when you physically look into the eyes of others and acknowledge their suffering. This simple act is what creates the wave that conquers suffering. 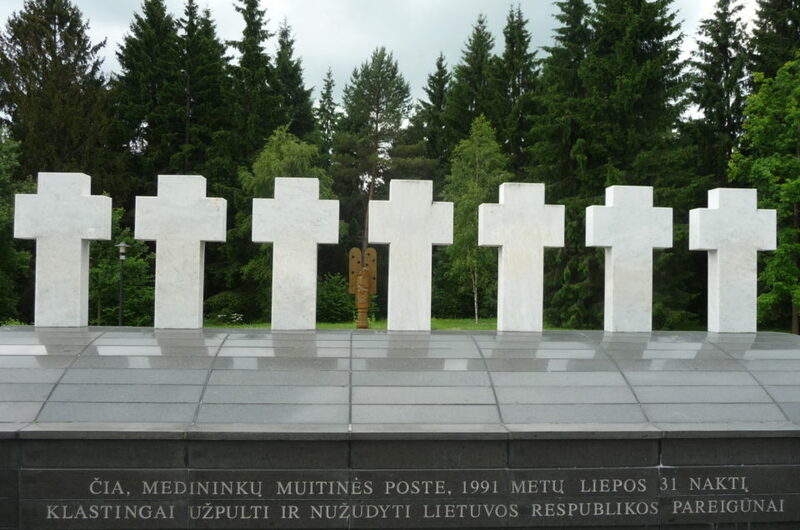 I personally witnessed this chain of compassion grow during the demonstrations and protests in Lithuania in 1991 – while it consumed the entire nation and across the fifteen Soviet republics and into the West. We don’t need to look back to the past to wonder what happened to that old spirit which united all of us. 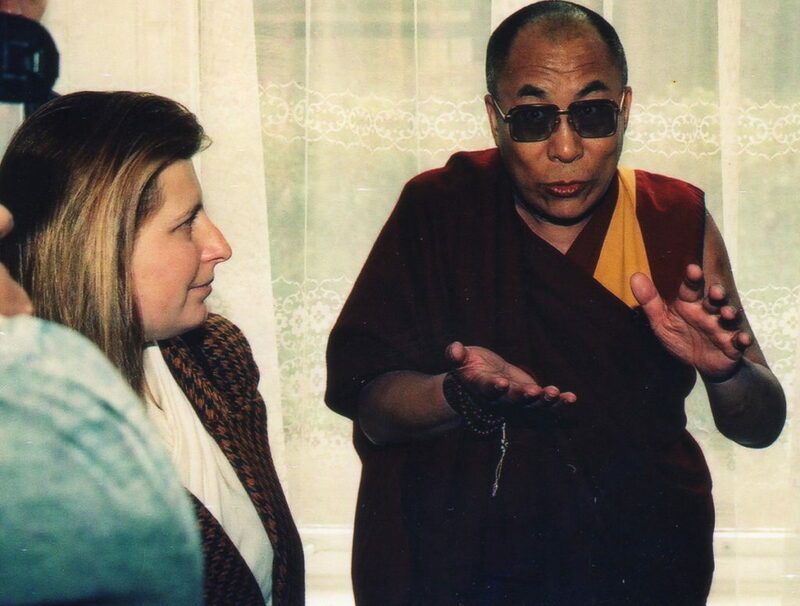 You can feel it in the first picture in the blog with the Dalai Lama and Landsbergis. The compassion for each other. The compassion for Lithuania’s suffering. The compassion for Tibet’s suffering. ‘Something in the air’ can be now, every day, every moment – and has the power to change the world for the better.